I have a deep, deeeeeep love for St. Tropez! Out of the many, many, many self-tanning products available on the market, St. Tropez makes the best! Unlike others that would give me a barely perceptive soft “golden glow” or worse a straight up orange tint, St. Tropez turns my skin into the most delicious shade of mocha! Other than looking incredibly flattering, as an added bonus, it never has that horrible smell that most self-tanners tend to have! In fact, I’ve even reviewed their Tinted Self Tanning Lotion years ago (here). 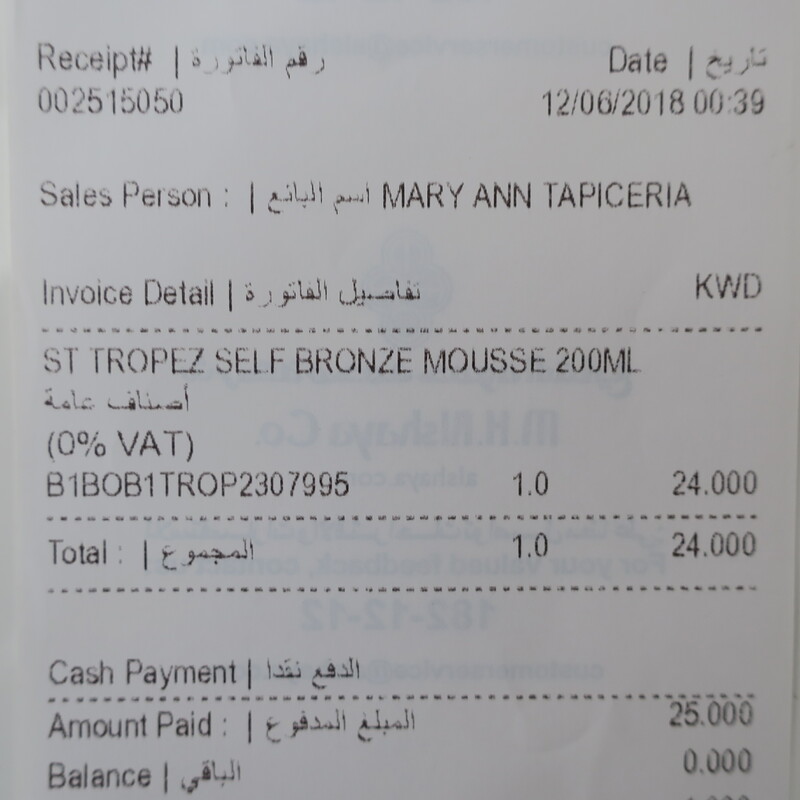 I also lamented the fact that St. Tropez was not sold in Kuwait and therefore had to be ordered online (which was a gamble because… Aramex). Thankfully, nowadays St. Tropez is readily available for purchase at Boots (which is where I actually got mine) and Sultan Center (to name a few)! Control your depth of tan with our most advanced formula yet for a natural, healthy looking tan that lasts for days. Wait just 1 hour before showering for a light sunkissed glow, 2 hours for a medium golden tan, or leave on for up to 3 hours for a deeper, darker tan, to suit your skin tone. Step 4: Allow 1, 2 or 3 hours depending on your desired shade, before showering to reveal your developed tan. Your tan will then continue to develop for up to 8 hours. As you can see, I purchased this stuff in June. However, I’ll be honest, I still haven’t gotten around to actually using it. Every time I decide to go for it, something comes up!